In this course, students participate in a video letter exchange which focuses on defining and evaluating the "ideal" society through a cross-cultural lens. 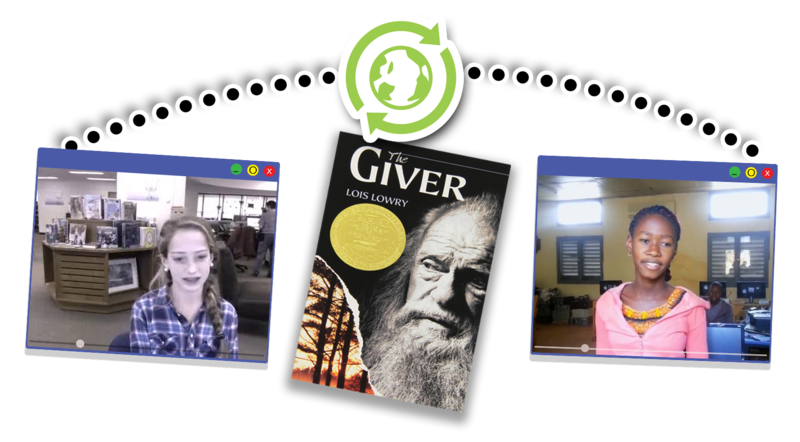 Students read and discuss Lois Lowry’s The Giver alongside students in a global partner classroom. Together through video letter exchange, they discuss the impact of societal rules and cultural norms on individual free will, while determining whether Lowry is presenting readers with a utopian or dystopian society. Students and their partners research and discuss possible solutions to one of the central issues of The Giver, such as war, hunger, gender roles, access to education, racism and ageism, as well as problems facing each of their local communities.